Board Chairman Mark Yarbro (right) congratulates President & CEO Bob Smith (left) on 40 years of service with Farm Credit. 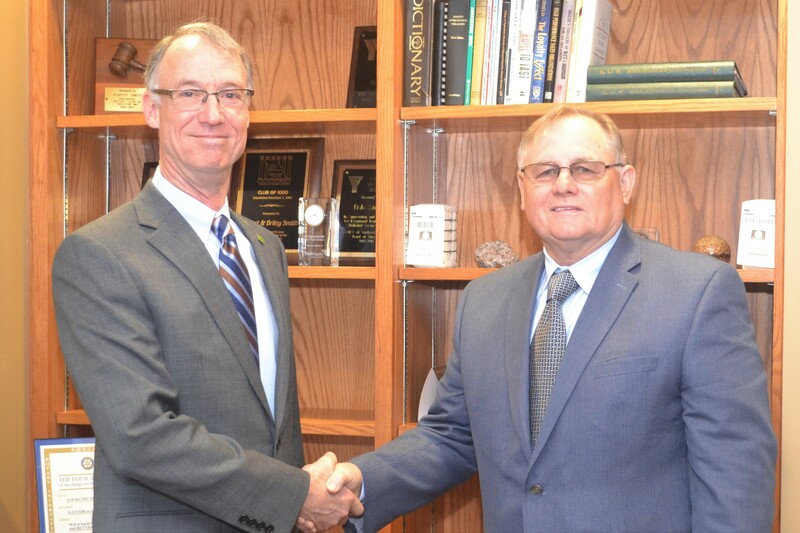 Farm Credit Southeast Missouri Board Chairman Mark Yarbro is very pleased to congratulate Bob Smith, President & CEO, on reaching 40 years of service with Farm Credit. Smith began his Farm Credit career with the Federal Intermediate Credit Bank of St. Louis as a PCA/FICB Representative on June 5, 1978. He joined the Sikeston PCA in August later that year as a Field Representative at the Dexter branch under CEO Bob Wright. In April 1982, Smith was promoted to VP Credit and transferred to the Sikeston PCA Central Office. On April 1, 1992, when the PCA and FLCA went under joint management with Ron Milbach as CEO, Smith was named SVP / Chief Credit Officer and served in that role for another 24 years until being named President & CEO, effective January 1, 2016. 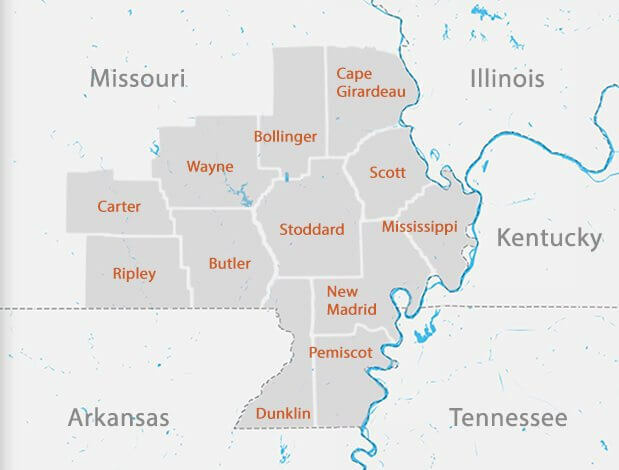 Over the years, Smith has worked through several iterations of what we now know as Farm Credit Southeast Missouri: Sikeston PCA; Production Credit Association and Federal Land Bank of Southeast Missouri; Progressive Farm Credit Services; and now Farm Credit Southeast Missouri.